Threads must be dry and free of grease. Torque: 150 Nm (110 ft.lt»). 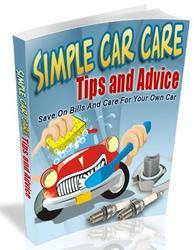 Threaded holes for ring gear bolts must be dry and free of grease. Note matching numbers. Readjust if necessary. 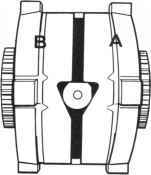 The small differential bevel gears run on two needle roller bearing sleeves that comprise 31 separate needle rollers each. 1. 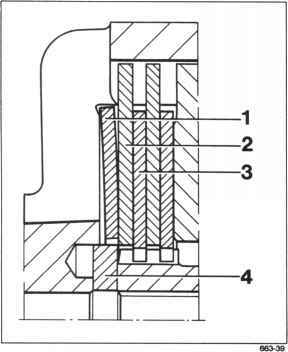 Press out pin with centering mandrel 9289. 2. Turn small differential bevel gears until centering mandrel faces the case cutouts and carefully take out the differential bevel gears. Be careful not to drop any needle rollers. 1. 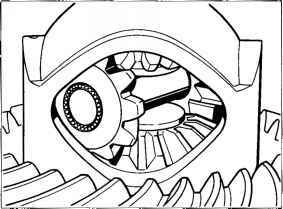 Install large differential bevel gears with pressed in threaded disks through the large differential case cutout and assemble with the halfshaft flanges. 2. Preassemble 31 needle rollers, centering mandrel 9289 and spacer on a small differential bevel gear and install through one of the case cutouts. 3. Assemble the other differential bevel gear with 31 needle rollers and carefully locate it on the centering mandrel. Be careful not to drop any needle rollers. To facilitate assembly, insert needle rollers coated with stiff grease. 4. Use centering mandrel to turn small differential bevel gears until the case bores line up. 5. 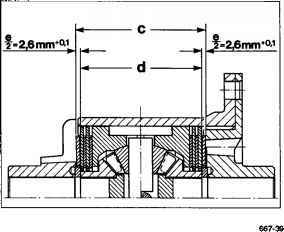 Press in differential pin observing correct position, take off centering mandrel and lock pin according to specifications. Shop-made tool The connecting piece for the halfshaft flange may be made of 6x18 fiat steel. Threaded holes must be dry and free of grease. Note matching numbers. Readjust if necessary. 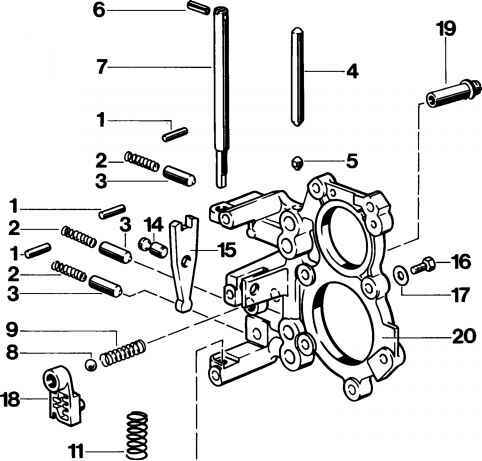 Remove pan head screws (no. 8) from case cover, remove cover and take out all internal components. Mark all thrust rings and differential shafts for reassembly. 1. 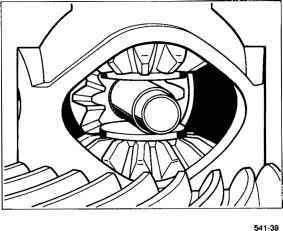 Oil all sliding surfaces of the discs, thrust rings and differential shafts with transmission oil. 2. 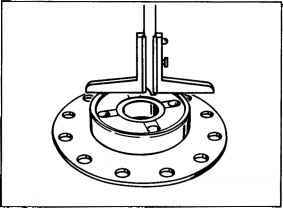 Install cup washers in such a way that the domed surface points towards the inside (towards the disc package). 3. 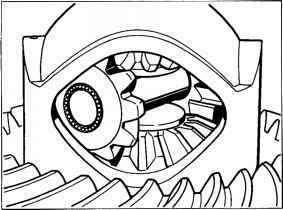 Install thrust rings and differential shafts in correct position. 4. 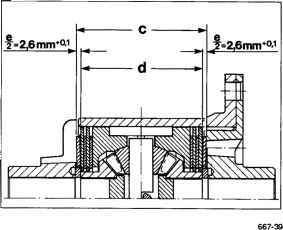 Determine thickness of disc package "d" (only required if components are to be replaced). - Determine dimension "b" of cover. Two measurements are required to determine this dimension. 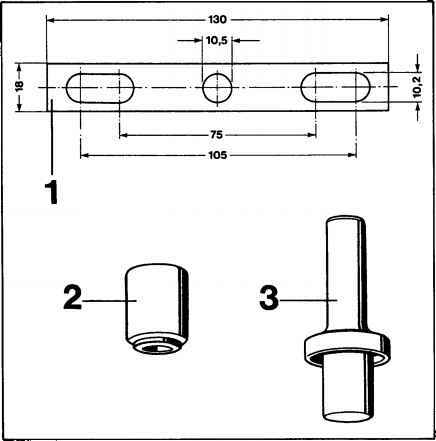 - Determine dimension "e" (must be 5.20 mm). If dimension "e" is exceeded or if the dimension remains below this value, fit thicker or thinner outer discs. Outer discs are available in a thickness of 1.9 mm, 2.0 mm and 2.1 mm. 5. 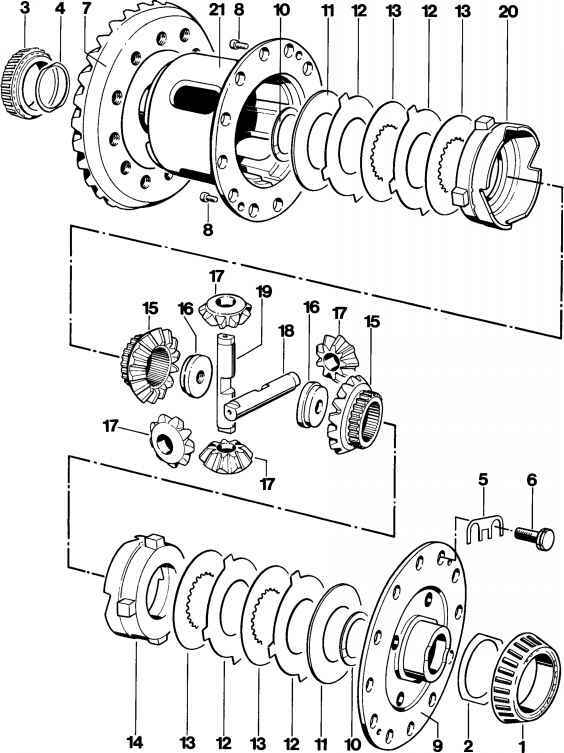 Following assembly, measure spinning torque with one fixed shaft bevel gear and one driven shaft bevel gear. 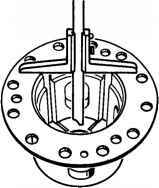 For this purpose, fit one flange with two bolts in a vise and position differential. 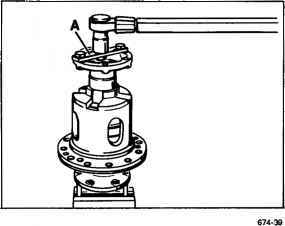 Insert other flange with shop-made connecting piece and rotate differential with a torque wrench. A torque of 20...50 Nm (15...37 ftlb) must be attained. 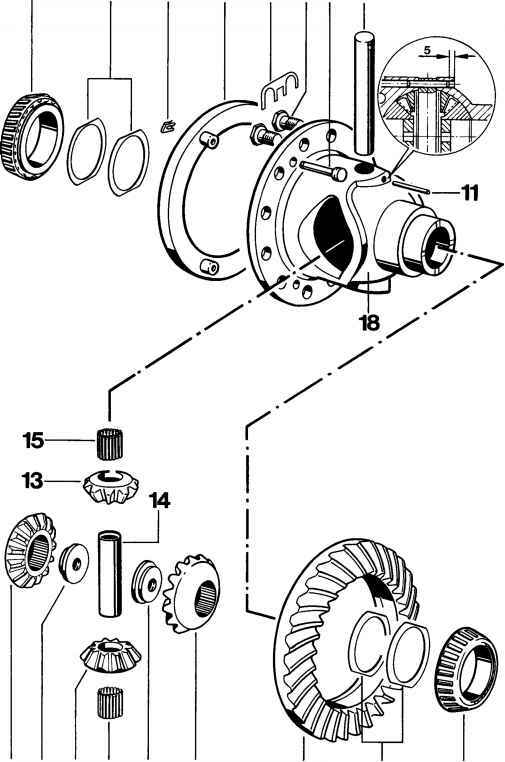 If the prescribed torque is not attained when the thickest outer discs are fitted, all discs are worn and must be replaced.